This is a guest post written by Josh from sibosurvivor.com. I’m excited to share some of his experience with restrictive diets on my blog. Happy reading! Have you ever gotten so frustrated about eating because your digestive symptoms just won’t ease up? Yes, I’ve been there. I feel like everyone who lives with IBS-SIBO or any other digestive disease has low points where they are desperate enough to go to extreme measures. My name is Josh and I live with SIBO. The main symptoms I deal with are bloating, gas, constipation/diarrhea, fatigue, and brain fog. I’ve struggled with the condition for about 3 years now and have been through a lot. I am a constant experimenter and somewhat of a lunatic. Like a lot of people who struggle with the condition I’ve tried a lot of different treatment options, diets, and supplements to help my gut. I’ve gotten to a point where I can manage my symptoms much better. In this article I want to focus on diet. I’ve tried all of the SIBO diets recommended and I want to share my experiences so that you can learn from them. I want to start off with my experience with severely restricted SIBO diets. I’ve been there before. There was a point in time where I thought that a super strict diet could potentially cure the condition. It’s tough because you just want to feel better. I have experience going on a super strict SCD diet where I eliminated all starches, fruits, and other food types. I thought I could get rid of my SIBO by doing this diet. I was wrong. Instead of getting rid of my symptoms this restricted diet made my body weaker and more stressed. I remember losing about 20 pounds and eating nothing but chicken and vegetables. My body also felt more sensitive than before because I wasn’t eating any resistant starch. Also, my social life was a challenge since I couldn’t eat out anywhere and the stress this diet caused was enormous. I was constantly thinking about every bite of food I put into my body. The result from this severely restricted SCD diet was a weaker body, bowel tightness, the same symptoms, and an enormous amount of stress. I learned from this restricted diet that it can have the opposite effect and actually be more harmful to your body becoming too restricted. It is healthy to have some variety in your diet and be able to get your mind off of food. I also have experience going on a vegan diet. The exact opposite direction. At the time I did not know as much about SIBO research. I thought it could potentially help my symptoms by getting rid of meat. Boy was I wrong. Like anyone who attempts a severely restricted diet I started to eat the same few foods over and over again. Rice, vegetables, nuts, and plant products. This really fed the overgrowth and made my symptoms much worse as well. The bloating and gas in particular was horrible and I also lost weight. Also, the fact that I wasn’t getting in enough protein made my body much weaker. I ended up learning that this was probably the worst way to eat if you have SIBO especially because it causes so much fermentation. While eating a variety of plant foods has definitely shown to be healthy for a diverse microbiome, going too extreme for people who live with SIBO can be very problematic. For those of us with SIBO, getting adequate protein from animal sources is healthy because we can’t eat a ton of beans or highly fermentable plant proteins. I learned this through trial and error. I tried a strict form of SCD and a vegan diet. They both made my body weaker and did not help my symptoms. I learned that it’s important to have balance in your diet. It can also be harmful to your overall health to rely on only a few foods because you need to get adequate calories and nutrition for your body. Do not forget that in order to fight off SIBO and maintain a healthier microbiome you need strength. I do think that the recommended SIBO diets are helpful. Things like watching the amount of FODMAPs you eat can help reduce symptoms and finding foods that are more problematic for your body like dairy, excess sugar, and excess fruit helps. I personally stick to a combination of the SIBO diets where I reduce the amount of FODMAPs I eat and watch the amount of carbs. Eating a SIBO friendly diet does not mean that you can only eat a couple foods. You should allow yourself to eat a variety of foods and cheat occasionally. Small amounts of foods like high FODMAPs can feed bacteria you need. The problem is they also feed the overgrowth so it is important not to go overboard with them. Starch is healthy for your gut. Even though diets like SCD eliminate starch you should not maintain a starch free diet for a long time. Starch feeds good bacteria, produces healthy short chain fatty acids, improves insulin sensitivity, helps maintain weight, and provides soluble fiber. Personally, I have found that eating starch helps with stress and sensitivity. When I got rid of starch on the SCD diet my body felt weak and extra sensitive. This goes in line with some of the research that shows people with IBS can have visceral hypersensitivity. My main go to starches are rice and potatoes. Food will not cure your SIBO. It is impossible to starve off all bacteria by eating a certain type of diet. I would also argue that it may not even be healthy to try and get rid of all your bacteria because so many different functions in our bodies rely on a diverse microbiome. Instead you should look for underlying causes and treatment options to combine with diet to help manage your symptoms. It is important to work with a good health practitioner, look for other causes that are contributing to the condition, and evaluate your lifestyle to see if there are other methods which can help your gut. Unfortunately, food does not solve the problem most of the time. It is also important to think about how much time and effort a restricted diet can take. You need to weigh the amount of stress restricting your diet will have on your body to the benefits it delivers. I have found that having balance in your diet and being able to pick up healthy prepared food is helpful too. Cooking every meal takes time and you need help. If you work like myself, you realize that your time is limited. Although I do cook healthy SIBO friendly recipes, I also find that easy to prepare food options like rice, sandwiches, and bulk cooking helps. It is healthy to cook and also healthy to rely on prepared whole food options. I’ve tried a ton of different diets to help manage symptoms. I learned that going too restricted on any one type of diet can be problematic. I’ve also learned that it’s important to get enough calories and nutrients into your body. Yes, I watch FODMAPs and carbohydrates but I’ve learned that I need carbs and especially some amount of resistant starch like rice or potatoes. Treating SIBO is more than your diet. There is a reason why food is not moving through your system like it did before. It is most likely a combination of different factors in your body that is contributing to the disease. I’ve learned not to get too stressed out about eating. The research on SIBO and the microbiome is still in it’s infancy and I think we will eventually realize that we do need a diverse microbiome and that each person’s body has a unique balance they need to maintain. If I could make a prediction about the future of bowel disease treatment I would guess that specialized treatments targeting a person’s unique microbiome will be key as well as changes in the body which contributed to dysmotility. Until then I think it’s important to realize that we don’t understand everything and that it probably isn’t healthy to eat only 3 types of foods. I want to thank Josh for sharing his story on the Sibo Diaries! To check out more of Josh’s work, hit up his website! Also, I have a couple posts in the pipeline that should be published in June! To make sure you don’t miss these like the Sibo Diaries Facebook page. 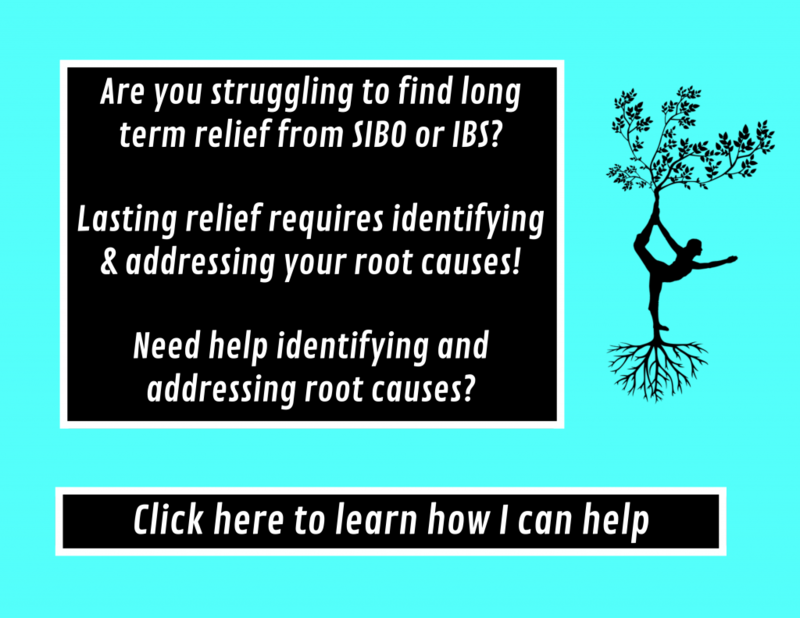 Previous Previous post: SIBO as a diagnosis…and why it’s a problem. Next Next post: How to repair the brain-gut axis? It all starts with the Vagus! I strongly agree!!! I found that cinsuming fermented dairy like kefir and cheese helped my SIBO symptoms tremendously. Everyone should be committed to being flexible with their diet and experimenting until they find what feels right. Kefir is the bomb!! Some people woman are suckers for shoes…..my weakness is Kefir lol! And I totally agree with you that breaking into the experimental mindset and not some cookie cutter diet is what leads to success in he treatment of SIBO. It’s so important to experiment for yourself and not fall into a cookie cutter diet totally agree. We really don’t know what we don’t know at this point and we will probably find that each person has a unique microbiome and genetics where a certain diet works the best. I think trusting your gut is super important. Totally agree! And I appreciated the “trusting your gut” pun! I agree. I believe I have SIFO-C. And I keep in eating white jasmine rice and rice-based pastas. The butyrate in it makes a huge difference in my digestion and elimination as well as adds in more calories! Thanks for your insights, Josh. :). Have you ever used a SIBO antibiotic regimen (Rx or herbal) and if so, how did it fit into your diet? Were you ever in remission (as per Lactulose breath test)? Thanks for sharing! This is helping me TREMENDOUSLY! Awww so glad you found the post helpful!